This pictures looks as though it is a masterpiece done in the Renaissance age. Gorgeous work. This piece is beautifully painted, the values are lovely. The strongest points are the vase and the fruit there as well as the lovely techniques in the background. The weakest details are in the basket. 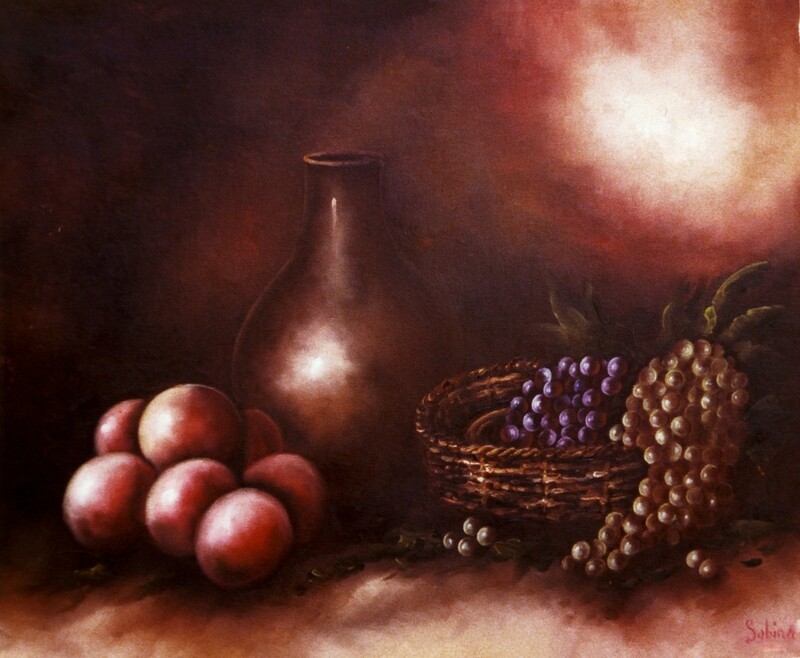 the weaving looks inconsistent and the lighting painted inside the basket and on some of the grapes doesn't match the origin of light elsewhere in the painting, being that most of the grapes match the origin of light but then some simply have the light painted on the opposite side. That vase though is mesmerizing. the left half and right halves of the painting almost feel like they were painted by different people the left side is shaded gently and softly giving this beautiful texture where as the right side shading isn't as "soft" it's a bit more harshly lit. I feel like the brown tinted grapes are done quite well though. All in all it's a really beautiful painting and a job well done congrats! It's crazy how a simple picture, as this one, could be the most inspirational work.